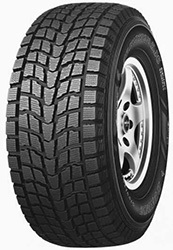 Part of Dunlops 4x4 winter tyre range the Grandtrek SJ6 offers incredible handling in snow and ice conditons with braking distances minimised. The SJ6 also offers a high level of aquaplaning resistance, whhilst maintaining the comfort anstability you would expect from a premium 4x4 tyre. A great choice for a 4x4 driver in the winter.